Many of you know I talk about drinking frappes, but those are an occasional treat for me. In my house, we drink tea. We drink tea hot and cold. My husband drinks hot tea every morning before he goes to work and every night before bed. 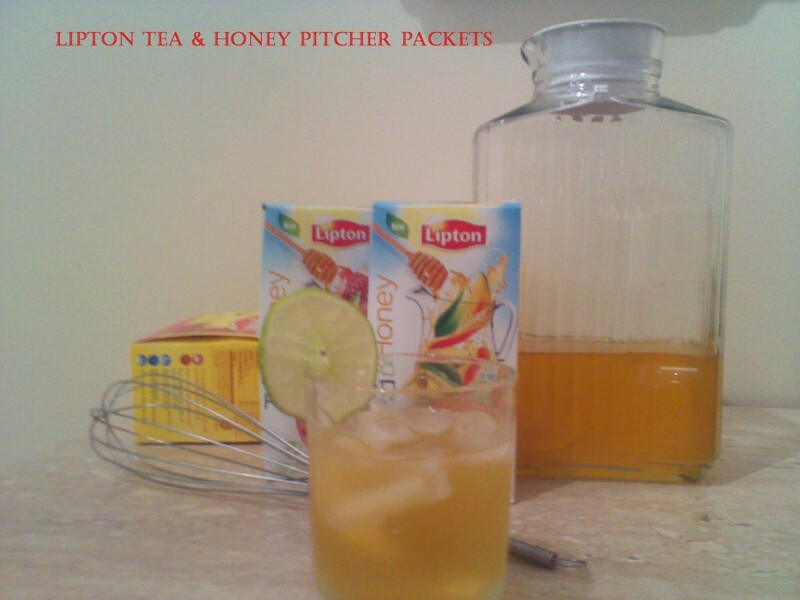 We drink iced tea made with both the canister and the large family size tea bags. 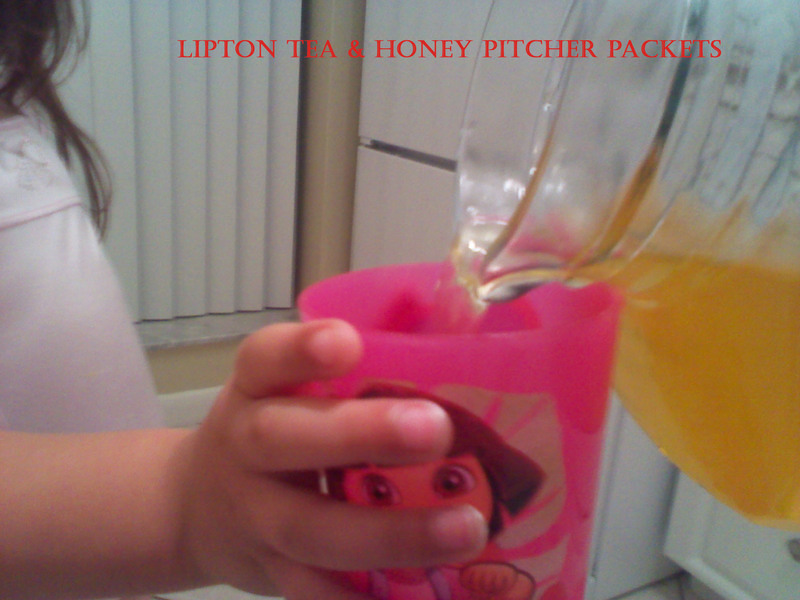 We drink iced tea using Lipton To go tea sticks in our water bottles. In case you haven’t noticed, we like tea. 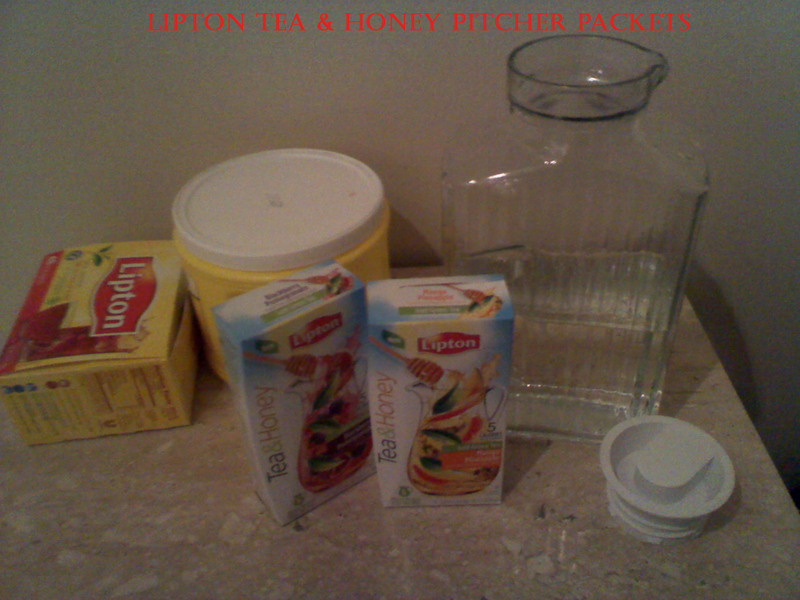 So when I found out about Lipton’s new Tea & Honey Pitcher packets, I was absolutely game to try them out. 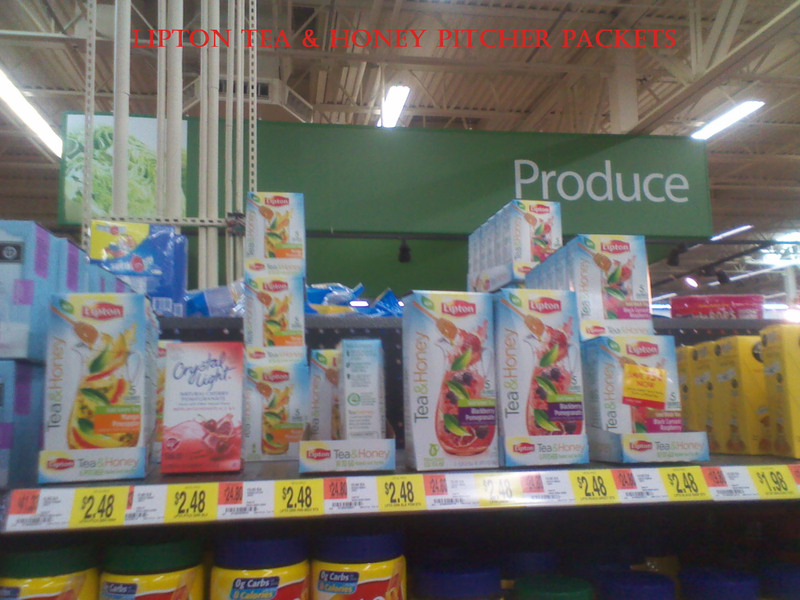 First off, I used Lipton’s Tea Locator to make sure they were at the Walmart I shop at. Then I made my list and headed out the door. After a little assistance from Walmart staff, I found what I was looking for on the top shelf. 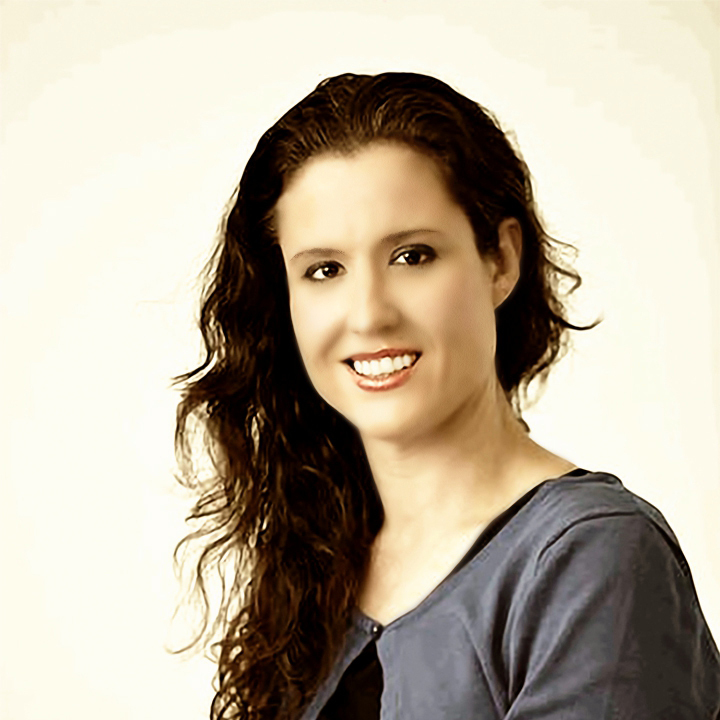 You can check out my Google + Story to learn more about my shopping trip. After a long day, and a shopping trip that felt like a millenium with two preschoolers in tow, I was looking forward to getting home and enjoying my iced tea. I absolutely loved that all I had to do was add water, open up the packet and pour it in, then stir and it was ready. To be fair, I also added ice cubes and some slices of lime. Overall, it was done in about 2 minutes. That was much quicker than when I boil the tea bags and wait for it to cool down or when I have to add the powdered mix from the canister with a spoon. It added the convenience of the To go tea sticks, but for a pitcher instead. Plus, they had different flavors than what I normally select from. I chose both the Mango Pineapple and the Blackberry Pomegranate flavors. What really excited me the most was that these packets only have 5 calories per serving and only 1 gram of sugar. That is so much better than all of these sugary drinks that are marketed to kids. I didn’t hesitate to let my kids try it out. For me, I honestly suffer through drinking straight water, so it’s nice to find something that tastes good but doesn’t load sugar on my teeth. (Yes, I believe in preserving my kids’ and my choppers.) I can definitely see these pitcher packets becoming a staple in my house. To go along with the latin feel of Mango Pineapple, we paired it alongside our homemade chili with cilantro, sour cream, and cheddar jack. The sweetness of the tea, combined with the subtlety of the honey, really complemented the spicyness of the chili. 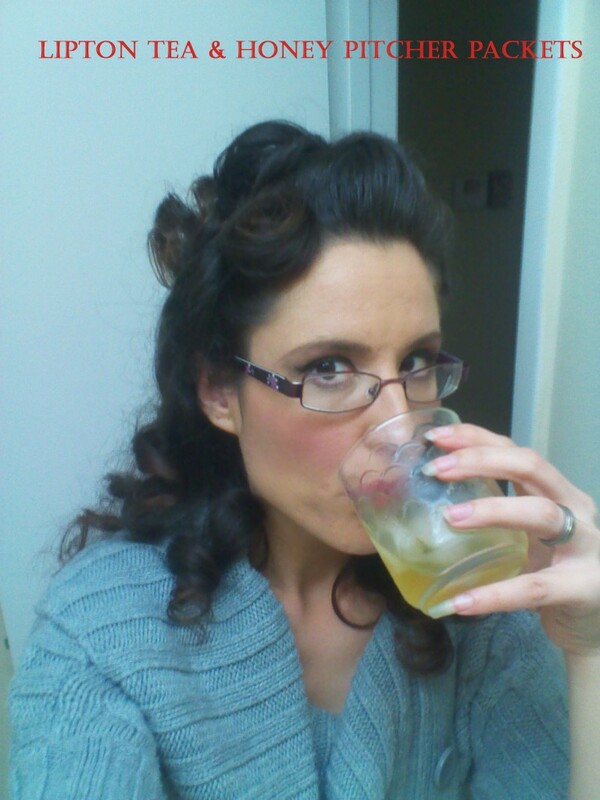 And after my loooong day, it was so nice to relax and finally enjoy my ice cold cup of tea. My kids loved it so much, they helped me finish off an entire quart in one sitting. I still haven’t tried the Blackberry Pomegranate, but I am sure it will be as delicious as this one. Want to carry on the conversation? 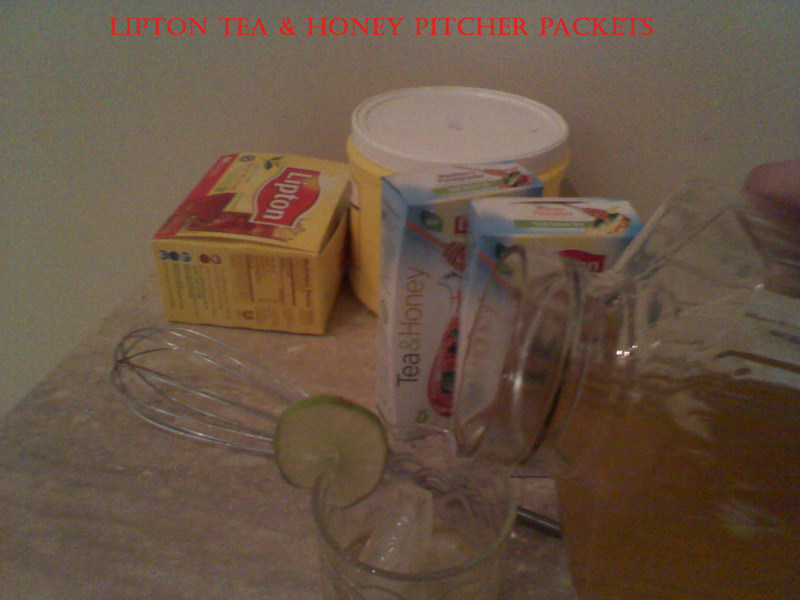 You can connect with Lipton on Facebook and follow Lipton on Twitter and learn all about tea and health. I thought the mango and blackberry flavors were delicious! Yeah, I just got the chance to try the blackberry pomegranate and it is delicious too! I do like the Mango Peach one the best.